Woodway Curve was at the top of EXOS (former Athletes Performance) must-have list for their training centre’s treadmills for developing their athletes speed production due to a number of factors. Woodway’s patented curve technology (the exact curve of the Woodway is scientifically proven to enhance running posture, technique and efficiency) promotes correct postural alignment through the spine, hips and pelvis, making it very difficult to run on the curve with incorrect technique. Woodway Curve facilitates proper gait form and can change that quad-dominate gait form as it’s design engages the posterior chain (promoting engagement in the hamstrings and glutes) and the user really has to focus on knee extension so the heel strike pattern is correctly extended, which is why the Woodway Curve is used so prominently in the rehabilitation setting. The Curve’s use in high intensity interval training is extensive and dominates US professional sporting teams, universities (colleges) and athletes performance centres due – in addition to the above facts – that the Curve’s slat belt is almost frictionless, so athletes can hit top speed in a matter of seconds, accelerating and decelerating as they would running on the ground, but coaches can monitor and modify technique in real time. The Curve enables coaches to adjust and correct sprint position and put the athlete back on the ground with instant positive results. Woodway Curve is the world’s top performance running treadmill. 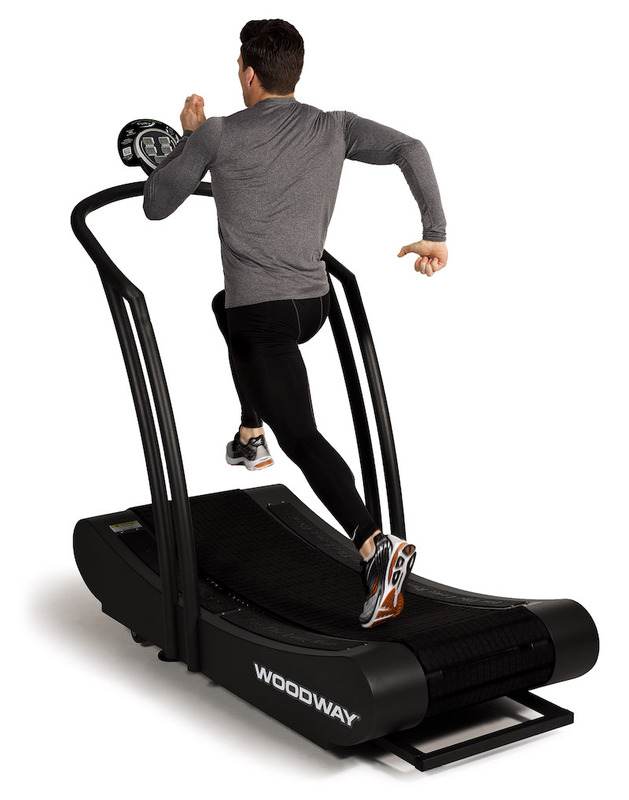 If you need to improve running position, efficiency and speed, there is no better treadmill than the Woodway Curve.